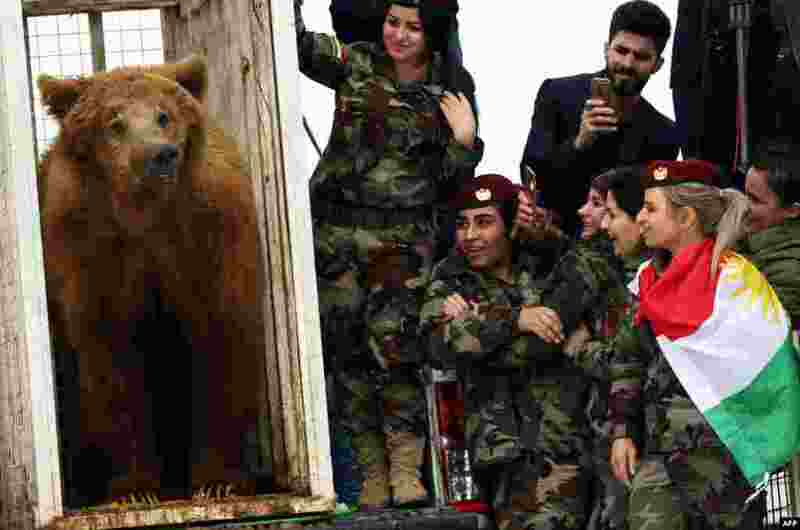 ١ Female Iraqi Kurdish peshmerga fighters watch on as they release a bear into the wild in the Gara Mountains near the northern Iraqi city of Dohuk, March 4, 2018, after Iraqi Kurdish Animal rights activists from a local NGO rescued it from a private home. 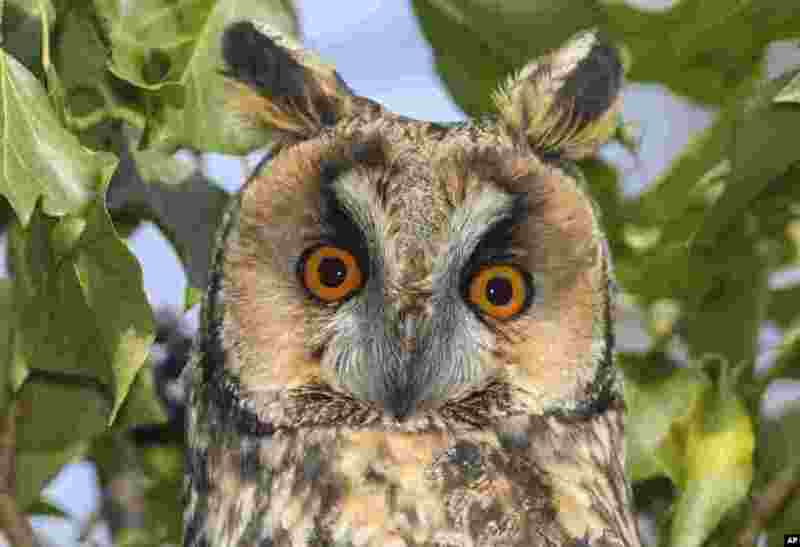 ٢ A long-eared owl sits on a tree near Lebus, eastern Germany. 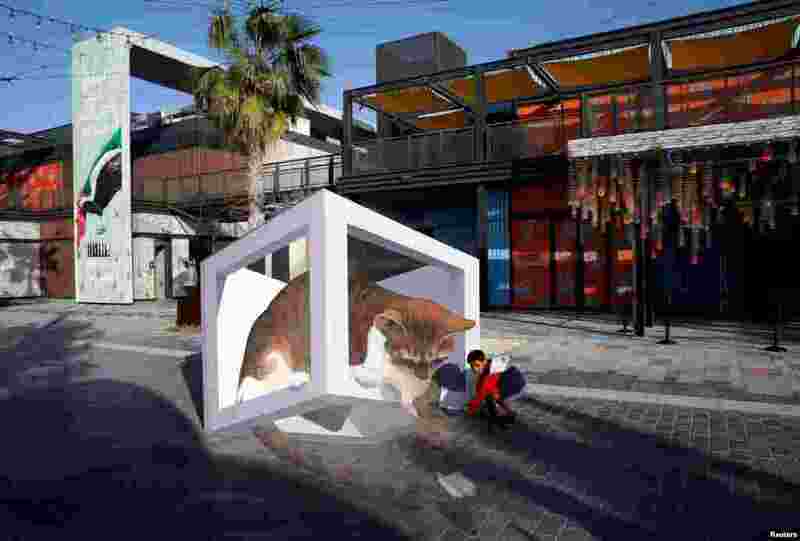 ٣ A boy looks at a 3D installation at Dubai Canvas in Dubai, United Arab Emirates. 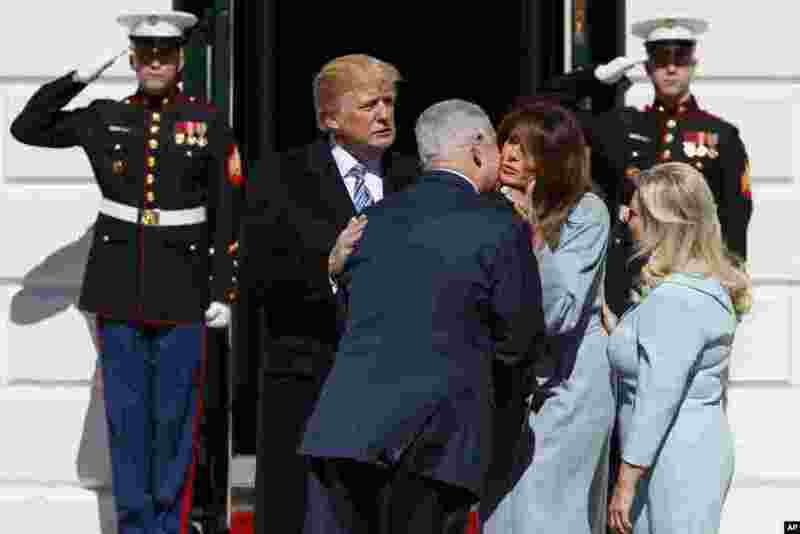 ٤ President Donald Trump and first lady Melania Trump greet Israeli Prime Minister Benjamin Netanyahu and his wife Sara Netanyahu at the White House in Washington.